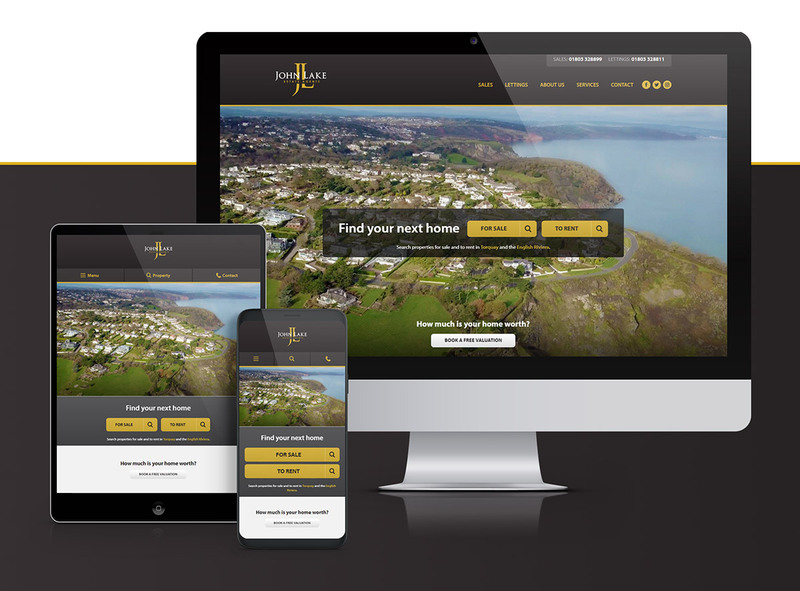 John Lake is Torbay’s leading independent estate agent, with over 40 years of experience in Torquay – and it is undoubtedly the most knowledgeable and respected estate agent in the area. 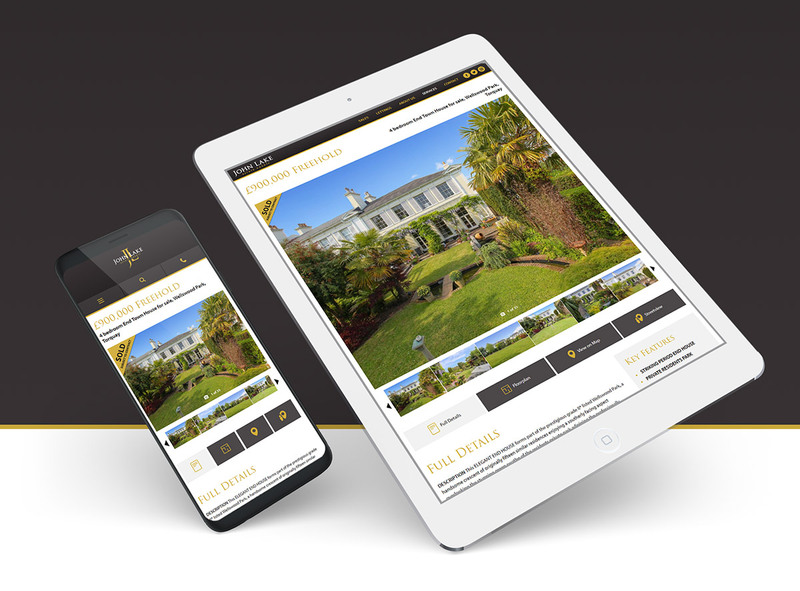 After working with John and his team on their previous website five years previously, we were briefed to give it a complete overhaul, with a fresh new look and simplified admin system. After the predominantly black website of before, we wanted to create something starkly different that would move the brand forward. The new site is therefore clean, bold and simple, with plenty of white space and open page layouts, yet still using the black brand colour in the headers and footers of the pages. 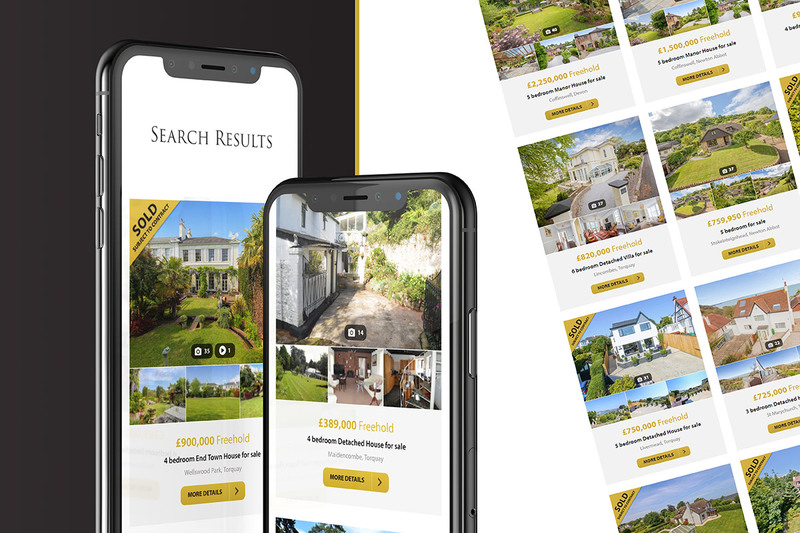 In addition, the drone footage previously created with Seadog Productions for the estate agent has been re-purposed for the new site. This, along with much of the site’s imagery, appears much larger, ensuring that the content looks stunning across both desktop and handheld devices. One of the more complicated and interesting parts of this project was the creation of a custom WordPress plug-in. 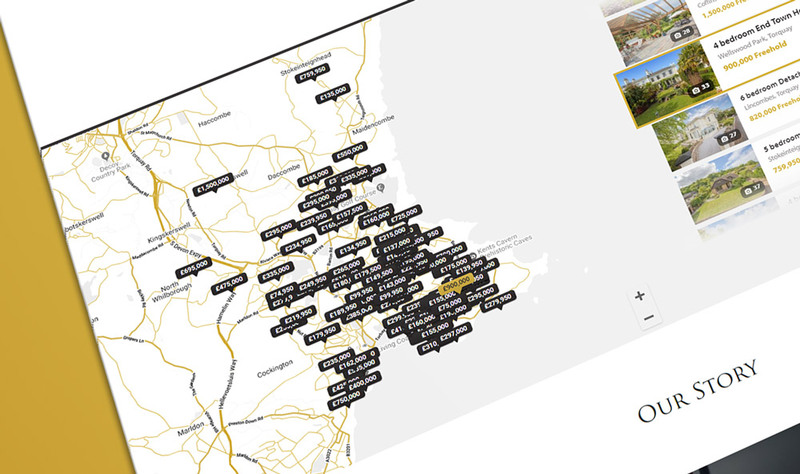 This takes data from Jupix – a popular property management system used by many estate agents to manage property details, bookings and sales – and utilises it to drive the property pages, search functionality and a custom Google Map look-up tool within the new site.